Instant ramen noodles are the food that got most of us through our college years, sports events, and many other instances in life where we wanted a quick meal. Available as dried packs or bowls of noodles, all you needed was some hot water and 3 minutes to turn these into a meal. While they are still a timeless staple, the noodle game has continued to evolve over the years. 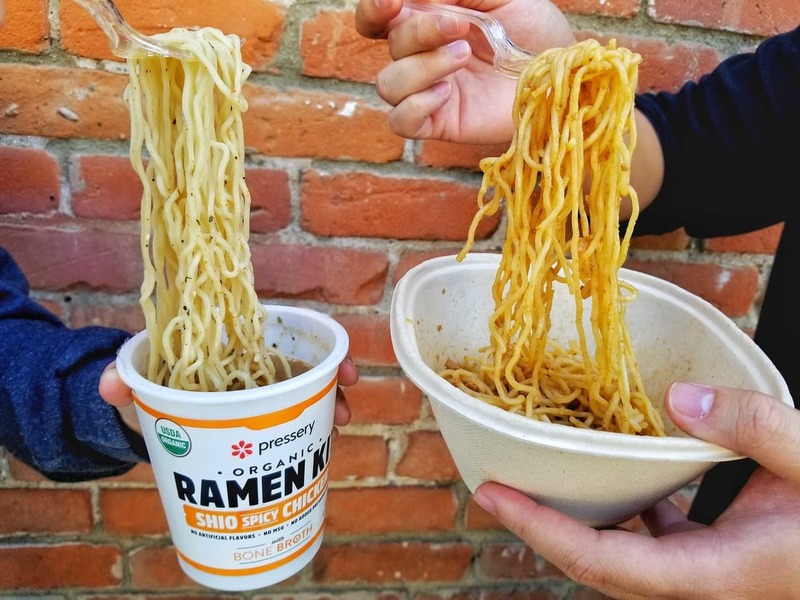 Today, there's now two revolutionary companies changing how we look at instant noodles, with fresh, chef-crafted bowls that have the same convenience and cook time as the ramen packets of old. One of these companies is Pressery, who is changing how we think about how instant noodles can be packaged. Their ramen kit concept is similar to that of a Chobani Flip cup, where granola on the side can be tipped over into your cup of yogurt. In a similar fashion, Pressery ramen kits come with a "lid" that's actually filled with noodles. Inside each container is some bone broth, which you add the noodles into, microwave in 3-4 minutes, mix in the spice packet, and slurp up just like standard instant ramen. Pressery works off of a mixture of convenience and nutrition. It's as fast to prep as a bowl of dried noodles, but comes loaded with protein (rather than salt, as most packaged ramen packets do) and fresh noodles over the shelf-stable fried ones. The product is perfect for grab-and-go from the fridge and provides a satiating meal in a pinch. Similar to Pressery, Nona Lim Foods is also getting into the instant noodle bowl business. Their packaging is different, as the noodles and broth come in separate packets that you fill into the bowl and microwave. However, they also cook in just three minutes, and come packed with flavor built into the broth, whether it be for a spicy ramen bowl or even plant-based Dan Dan Noodles made with Beyond Meat. Nona Lim also capitalizes on satiety and nutrition, as their noodle bowls can contain as many as 27 grams of protein per serving. It's definitely more of a meal than the snack that instant ramen can sometimes be, and delivers massive punches of authentic flavor. 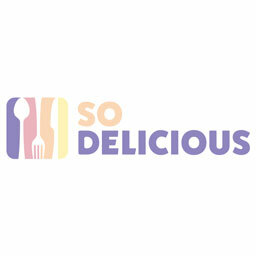 This stems from their broths and sauces, which are made using traditional ingredients like Szechuan peppercorns, fish sauce, lemongrass oil, and star anise. Both Nona Lim and Pressery are taking the instant noodle game to the next level through their convenience and freshness. What makes them stand out, however, is that they also excel in the refrigerated grab-and-go category. This area has expanded rapidly in supermarkets in recent years, as consumers demand more convenience with better-for-you and nutritious, filling products. Each company also utilizes fresh noodles that can be reheated easily. As a result, the noodles can retain their chew and elasticity, whereas dried noodles tend to be fried and lose that when reconstituted with hot water. The result aligns more with what actual bowls of ramen or other noodles would taste like in a restaurant, combined with the convenience of being able to make these in your microwave. These noodle bowls meet all of those desires and provide the nostalgia of tucking into a bowl of instant ramen from your college and bachelor days. However, the taste and texture sensations are a far cry from those noodle packets of old, and they're pushing the entire industry to be more creative, more clean label, and more delicious. 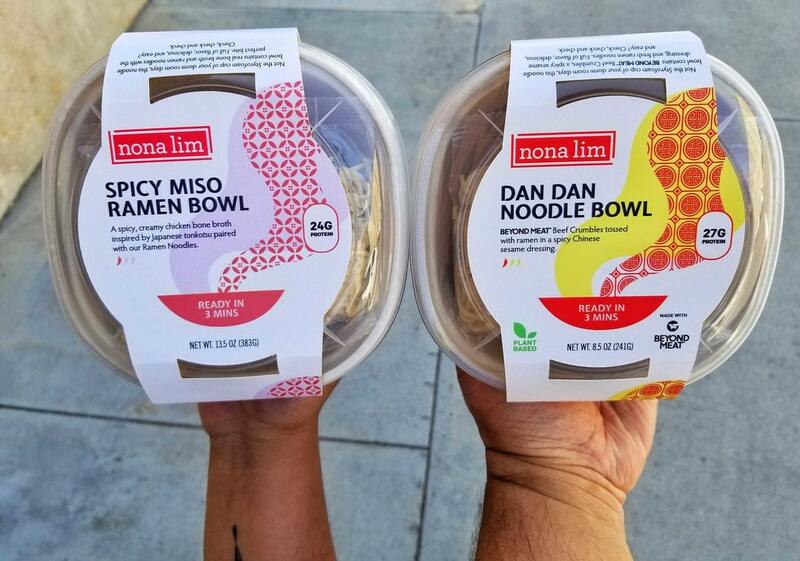 You can find Nona Lim's noodle bowls at several retailers nationwide starting in May, including Whole Foods, Hyvee, Amazon Go, and select Walmart and 7-Eleven stores. They are also sold online via Amazon and Nona Lim's website. 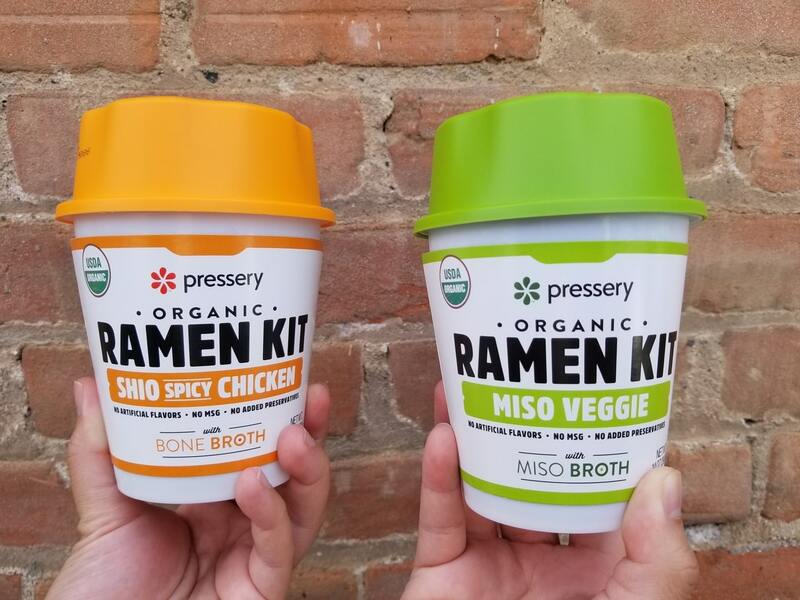 As for Pressery, their ramen kits are available in retailers like West Coast Costcos, East Coast Targets, and Whole Foods and Natural Grocer outlets in Colorado.